Casa Security is located close to our Grade 1A Central Monitoring Station in Malaga and has been providing quality service for 18 years Perth. As a wholly Western Australian company with an energetic new management team from 2012, Casa is a member of the national regulatory body – ASIAL www.asial.com.au and also a Bosch Security Certified Partner (BSCP). 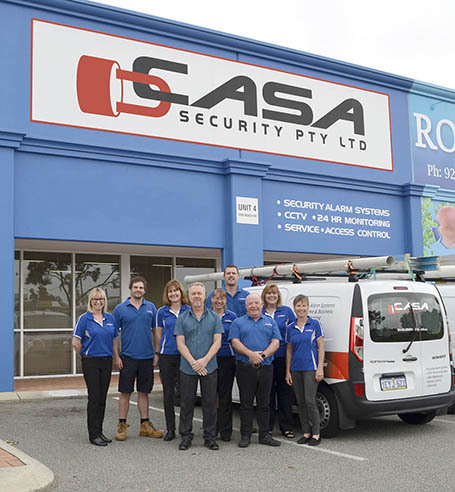 Casa Security is a wholly Western Australian owned security and alarm company that specialises in home, commercial, and government security systems in Perth. Our commitment to service is exemplified through our industry partnerships, our 24/7-service support, and of course, our product range that is second-to-none. Casa Security is the leading provider of the latest and most reliable commercial, industrial, and residential security systems in Perth. Established in 1995, Casa Security has been at the forefront of providing the latest technological innovations in home security alarm systems to clients living in Perth and surrounding suburbs. We take pride in our advanced selection of modern burglar alarm systems and security alarm systems. But our products are just half the journey. We have a professional team of customer service representatives and security consultants ready to assist you on your enquiries regarding our top-of-the-line security systems Perth. We do more than supply and install security alarm systems; our team at Casa Security offers comprehensive advise on what type of security systems your home or business needs. We are your partner in security, from the moment you give us a call or send us an email to installation and beyond. Casa Security’s top-notch service doesn’t stop at installation; we provide maintenance and service so you can sleep peacefully knowing that you have a reliable 24-hour security system at home or in your establishment. Whether it’s for your home or your business, there is no doubt that a reliable security system will be one of your most worthwhile investments. You can protect your valuables such as electronics, works of art, jewellery, cash, and many other items from home invaders thanks to the latest burglar alarm systems. Apart from driving off burglars and notifying authorities once a break-in occurs, installing one in your home or business can also deter criminals from breaking into your property. Even the simple awareness that a state-of-the-art alarm system has been installed in your property is enough to deter potential burglars. But Casa Security offers more than just traditional security alarm systems. Our company offers a modern security system that allows you to monitor your home or business even after you leave the house—whether you’re at work or on vacation. We also provide security systems that notify you of fire or gas issues in your home when you are away from your property. Check on your kids or pets whenever you want using our latest CCTV camera system. You can even keep tabs on the friends your teenager invites to your home using the latest home security system Casa Security offers. Burglary, property damage, and arson are some of the most common crimes committed in Perth and other parts of Western Australia. In the past, people could safeguard themselves and their properties by putting strong locks and building high walls and hope for the best. These measures, however, are simply not enough. Locks can be picked and walls can be scaled. It’s a good thing that technology has evolved over the years and now plays a vital part in safeguarding homes, businesses, and the people who live and work there. 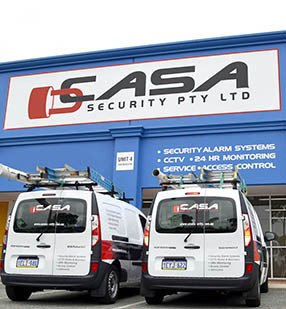 Casa Security is at the forefront of providing your home or business in Perth the security systems it deserves. We provide a vast array of products and services that will suit your budget and your needs. We install specialised security cameras systems in Perth, as well as provide reliable 24/7 monitoring for your property in Perth. Whether you just want to keep your family safe, you own a valuable piece of art or a luxury vehicle, Casa Security has your back. You can leave the house, go to work or sleep at night knowing that you can monitor your home or business at the touch of your fingertips. We also provide access control systems to ensure that everyone and everything within your building, campus, warehouse, or IT room are safe and secure. We know that you worked hard to get your business where it is right now. That’s why we are committed to providing you with the best burglar alarm systems and security solutions for your business in Perth. Whether it’s a neighborhood supermarket, a busy restaurant, a chic hotel, or an office with a server room, Casa Security can provide you with the security solution that is perfect for your business. Our solutions can help ensure that your employees are safe inside your business premises and deter people who would enter the premises without authorisation. 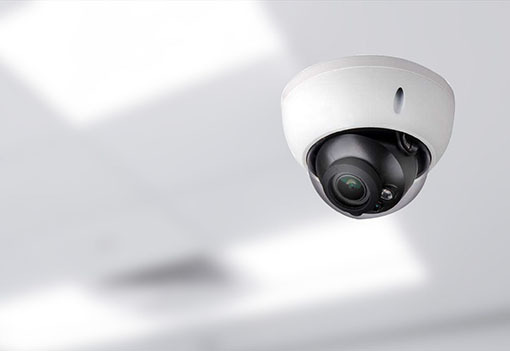 Knowing that you are always keeping your eye on them via CCTV can also encourage employee productivity and discourage any kind of theft. Store owners also benefit from having a security system as it can deter shoplifters from entering the store. 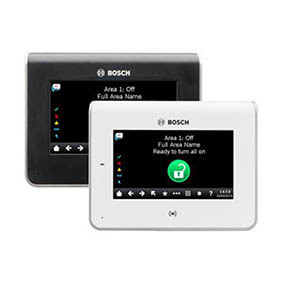 As a certified Bosch partner we get access to the latest integrated systems and smart products available. 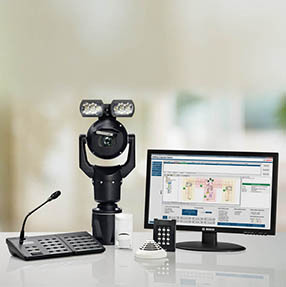 Within the fast developing world of connected devices and IoT you can rely on securely encrypted connections and installations performed by qualified police cleared technicians. Casa can service all common systems in the marketplace and our monitored clients enjoy 24hr on call support for emergencies. Our knowledge base spans some 30 yrs in the industry, with all technicians in compliance with the West Australian police requirements for the industry and we pride ourselves on our prompt service. From domestic systems to Integrated Platforms for commercial use, Casa can manage your installation project incorporating Access Control, Alarm System and CCTV with remote management solutions, video verification, virtual patrol and two way response. If you own a home or a business in Perth and the surrounding suburbs and you’re ready to take your home security systems to the next level, give Casa Security a call at 08 9241 9000 or send us an enquiry at info@casasecurity.com.au for any enquiries. 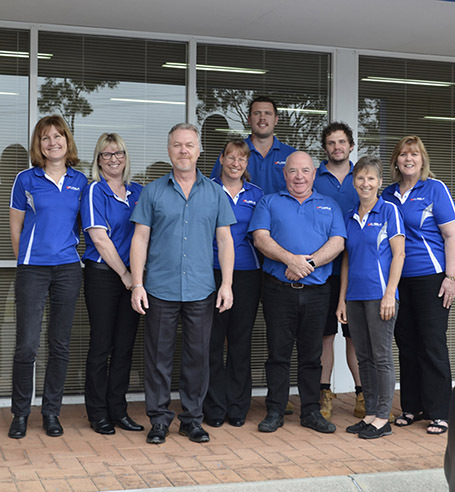 Our friendly and professional staff would be more than happy to answer all your questions about our burglar alarm systems, 24/7 property monitoring services, CCTV systems, and other security system services available for Perth clients. You can also visit us at our Malaga office for a comprehensive security system for your home or business. We are available starting at 8.30 in the morning until 4.30 in the afternoon, from Monday to Friday. We provide quality security systems, but we’d like to go above and beyond when it comes to business. If you are an existing customer, you can reach us via 08 9241 9000 in case of emergencies or send us a message at service@casasecurity.com.au for our after-hours service. Casa Security’s top-notch products and services are available to residential, commercial, and industrial customers alike. Whether you are building a new home from scratch or renovating an existing one, we have you covered. We are also capable of outfitting your business with the best security systems available on the market right now. It doesn’t matter whether it’s a large supermarket or office or a cozy cafe, we have the right security solutions for you.